The Huskies; CKC; PRU; CCM and the fight against the system; SPCA; AQ & MAPAQ. After weeks, even months of trying to get some dogs rescued via the “competent authorities”, it is now time that I, Sophie, take a few minutes to explain my position in the ChowChow Man and Paws R Us “sagas”, as well as clarify some of the questions people may have. Those of you who know me well, know that my priority is and always will be the well-being of dogs, BUT you also know that I will fight for my (and everyone’s) constitutional rights if they are violated. Some people have come to the conclusion that I seem to be on “the other side of the fence” now, which I am NOT, and never was. HOWEVER, Anima-Quebec, SPCALL and MAPAQ have been refusing to help a pack of close to 100 dogs in desperate need, however have decided to go after dogs who were not in desperate need, and in one case as revenge against my actions towards them, in the other, to make a big media thing and look good. I will be posting the facts and the WHOLE story and you will all understand why I am now so upset with the so-called competent authorities. Some of you are rejoicing at the new amendments Pierre Corbeil wants to bring…. Don’t fool yourselves, puppymills like Paws R Us will not be shut down based on this new law. The ones affected, will again be the little guys, like the rescues and pet owners. Not the breeders, once again. Early August, as some may recall, I was involved in trying to help some 37 Huskies that were tied to trees in Lachute. These dogs belonged to Daniel Charbonneau and had lived their entire lives tied outside. SPCALL had a file since May 2011 as he owned (with his wife Johane Parent) close to 100 dogs who were mostly kept outdoors. By July 2011, Daniel was worried that the SPCA would take his dogs due to the many “chances” he had been given via “notices” and reports. He asked for help to place the Huskies who were so skinny the average Husky there weighed 22 lbs, and he claimed he had not been able to feed them. 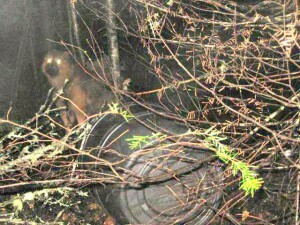 I got involved by locating the dogs that a “so-called” rescue was going to take in. That turned out to be a fraud, and left with a dozen people in front of these dogs and no solution, everyone turned to me and said : we have to do something, this is pathetic, this guy should go to jail for the conditions these dogs are in”. I know for a fact these dogs were not in any better shape, if not worst, than the Huskies, however they are CKC registered dogs……Knowing some dogs were dying at the end of their 5′ chains, Daniel and Johanne having no home, no money, no way to care for these dogs either, I started pushing SPCALL to act on taking in these dogs as well. The only story I got over and over again, was “we have no laws that can allow us to seize these dogs”. So back and forth I went with MAPAQ, Anima-Quebec, SPCALL, telling them their P-42 gave them the power to seize the dogs for 90 days, and if they had no charges in the end due to a lack of laws, that they would return the dogs to Daniel and Johanne, but at least in the 90 days they would get food, water, shelter and some vet care… They kept arguing that NO. We have no laws, we cannot act, the fact they have no shelter is not illegal, the fact they have no food and water, we have to prove “intent” of the neglect, these people are going through rough times and we need to help them…. The media talks about the poor Huskies seized, in an E-Shelter (a barn) in St-Jerome, so I go see SPCA people and continue putting pressure on them to act. I am then sent on a wild goose chase, am told by Elizabeth Pierce that if I can get proof (visual confirmation) that there are still dogs without food, water nor shelter, that they will “have to act immediately”. So off we go with some volunteers from the E-Shelter to obtain the proof, these people are willing to sign an official complaint. Of course, Daniel Charbonneau is no fool and realizes it was a ruse to get our proof……and he starts “panicking” that I am trying to steal these wonderful, exotic, expensive dogs. His “investment”. I worry about the dogs, on the 16th of August, some volunteers (who were involved in the Husky saga) and I go through the woods in Lachute trying to locate the carcasses of the dogs who have already died (3 that we know of) and possibly dogs abandoned far in the woods, as they are “on the run” from me. Daniel makes death threats to these volunteers towards me, claims he will shoot me if I come on “his” property as he is protecting his goods, and he has “friends” in the SQ. So I make an official complaint, I am told that they cannot arrest him, cannot give him any conditions… they will give this to the prosecutor to see if they will press charges….. I continue to press SPCALL, MAPAQ, I am unable to reach Corinne Gonzalez as she only works from home and obviously refuses to return calls left for her concerning this crucial situation with dogs that are starved, and eventually contact the Municipality to get them to act on municipal by-laws (more than 2 dogs, no tags, etc…) as some of you may know, Cities have all the power in the world to seize a dog without a tag, right out of your home). But this canine inspector, Alexandre Roy (oh wait – is he the one who was supposed to “buy” Daniel’s Huskies for his breeding? ), tells me he has no power, his by-law doesn’t allow him to act, there is nothing he can do. Like Mme Hebert from MAPAQ, he told me not to tell him how to do his job. So we’re back to no help for these dogs……. So I leave, not knowing where Daniel and his pack have moved to……….yet I know they are still outdoors, with no shelter, no food, no water, as he and his family are still living in tents with all their belongings………and the pack tied to trees wherever they can find room…… Oh I forgot that on the 16h, he had chased me at high speed (along with the volunteers in their cars behind me) on back roads, before he made the death threats later that day. Mirabel police told me they could do nothing, because there was no impact. It would be a ticket for reckless driving. I asked the officer later that day to take that into account along with the death threats…. which he said he would. Still on the 26th, no one had laid any charges nor arrested him….while I was being arrested for “criminal harassment” because he saw me in town….hmm. Friends at SPCALLMAPAQ (Marc Levasseur) the City (Daniel Mayer) and now the SQ (Sgt. Filion)……???? So for a quick ‘recap’ so far: Since May 2011, SPCALL has been closely monitoring Daniel Charbonneau and Johane Parent (CKC Breeder) and their 100 dogs. 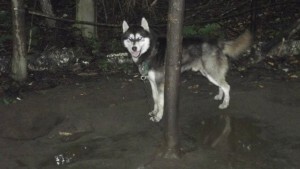 In July, they end up homeless after not paying their rent for months, decide to leave 37 Huskies tied to trees in the woods nextdoor, pack their stuff and camp out on City dump property with the Mayor’s approval. 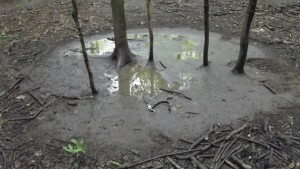 Beginning of August, Marc Levasseur (SPCALL/MAPAQ) is really pressuring him to find a solution, yet reports say “dogs are very thin, have no food, no water, tied to trees”, but upon giving this to Corine Gonzalez, his boss, they feel they cannot or will not act for whatever reason. August 5th, a rescue mission goes bad, media gets involved, people are outraged, SPCALL has to do something. They show their face on the 7th, make a deal with Daniel, pretend to just hear about the other 50 dogs, pretend they will “investigate” and it just kind of goes away… Except for Sophie. She won’t go away, she wants them to act and seize the dogs for 90 days, give them shelter, food, water, vet care and if nothing can be done, return the dogs in 90 days, but at least they will have had that. Answer: They cannot do anything, do not have the power to seize, need a warrant (I ask them to get one by phone -cannot be done)…..
SPCALL sends me to Lachute to obtain “proof” in order to act about a week later. I come back with proof, I’m told “we’ll give this to Corinne Gonzalez”… Yeah right! 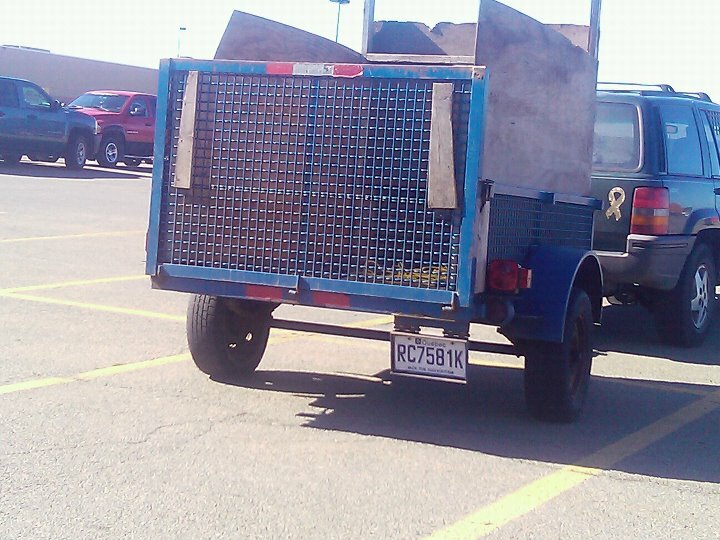 SPCALL had also told me they couldn’t seize the dogs even if they had the laws to back it up, since they had no room in Lachute to put 50 dogs…..
On the 16h, we go try to find evidence in order for SPCALL to act.. I get almost run into the ditch, I get threatened to be shot at, nothing happens…. On the 26th, I get arrested, Daniel Charbonneau leaves town, and oh wow!!!! Chow Chow Man’s dogs get seized by none other than Marc Levasseur…. I what????? I had spoken to the Mirabel police about Chow Chow man on the 26th, while filing my report about his trying to run me off the road, and they had told me they knew of this guy in a bus with 40 some Chows, but they never did anything about it as his dogs were in great shape, he just broke municipal by-laws because of the number, and they didn’t want to incur the costs of seizing his dogs. That’s when I decided I needed to get involved to find out what this was about. I myself had heard about this guy on a bus for about 5 years, and could not understand we had so little laws to prevent that, but I also always heard this man took extremely good care of his dogs, they always came first. I had NEVER heard one person over the years tell me his dogs should be taken. I did hear many times “how can we allow that in Quebec”? but never his dogs were neglected. He just bred and sold dogs from a bus instead of a farm or a house like other “breeders”. This man’s pack was taken in revenge for me putting pressure to seize Daniel’s pathetic looking dogs, dogs who in my opinion were all going to end up dead, and instead they go take some beautiful Chows? Something was wrong there. And to make it worst, it happened on the 26th of August, they day I left a very detailed message to Corine about acting before Daniel left or I would press charges on them…….Revenge is a beautiful thing in their eyes I guess. But wait, since I got directly involved in helping find out what was up, I have proof of what I am saying. This was strictly revenge on me, and a better way to give Daniel a chance to run… By some even stranger coincidence, I did locate him later, in Val des Lacs, and guess what, he “squatted” in those woods as of August 26th. What a day that was!!! 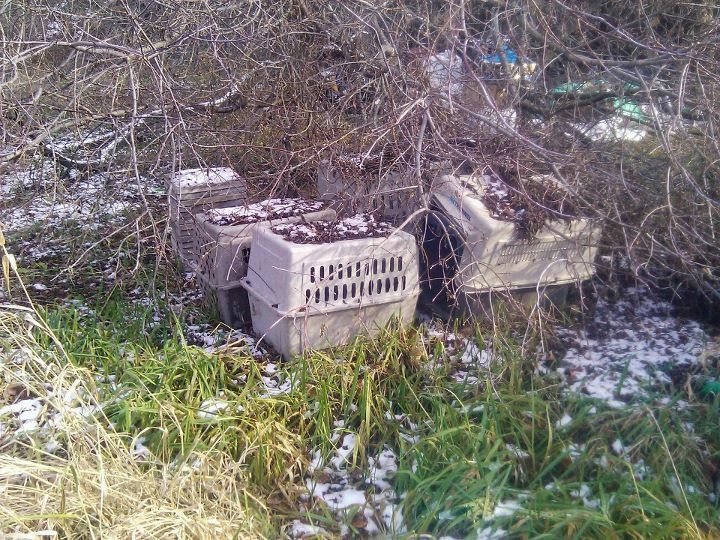 So now we have 37 Huskies surrendered against no charges, 50 dogs out of sight, out of their hands (SPCALL), excuses, chances to act, threats from Daniel, SQ telling me not to “get involved”, I didn’t know who I was dealing with, MAPAQ telling me they could not act due to lack of laws, SPCALL sending me on a wild goose chase to get “proof” so they can act while in fact protecting Daniel and his wife Johanne. I was told by Elizabeth Pierce (from SPCALL) “oh Sophie, how could she have gone bad like that? Are you sure? I know her, she’s a great CKC breeder”…. What is one supposed to think at this point? That they are protecting Daniel and Johanne because her breeding business was once CKC registered? I did find out that she once was, however she falsified documents and was banned from the CKC, so she has now registered her “breeding” business to her oldest son, a teenager….. Anyone can be a CKC breeder, they don’t do any verifications. You pay your dues, have “certified” dogs, and you’re good to go. What you do from there, is up to you. 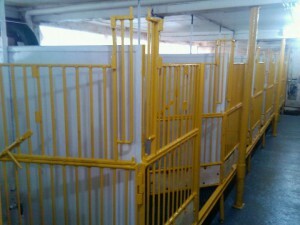 No one will stop you from selling, breeding, and no one will come check the living conditions, because you”re CKC!!!! So I got really involved. Investigated the Chow Chow Man, met him, met his two dogs (yeah they left him one, a 12 year old female, and he got one back that he had sold, a 7 month old female). Unless you know what the facts are, no one can judge this man. My investigation revealed that he always took excellent care of his dogs, they always came first, they had all the care they needed, when needed (in fact he had the medication for the ones they took – no one asked him for any proof – they just seized)…..I saw his contracts, I spoke to this man at length, he is not some weirdo who lives in a bus, he is a very intelligent, educated man whose life has brought him many setbacks, and he had found a “legal” way to take care of his “family”, his dogs, by selling the puppies they would produce. He never inbred, had 20 females and 10 males that were his family, and yes he sold their puppies to supply for his and his dogs’s needs. 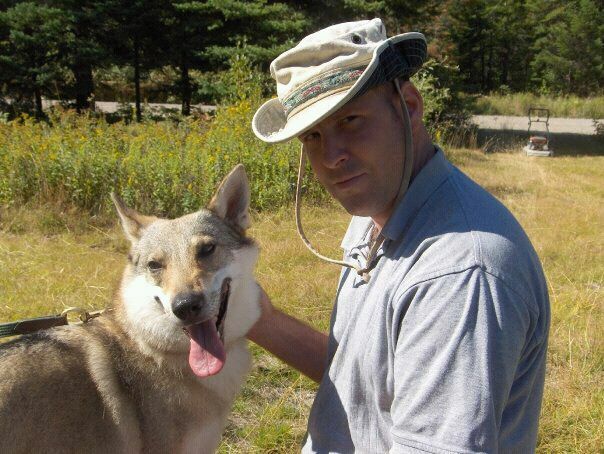 Remember, in Quebec it IS LEGAL, regardless of how you do it, and this man, despite his living conditions which most of us would not want, he was a happy man, with a happy pack of dogs who admired him and had the best of lives in my opinion for pack animals. The first thing I told this man when I met him in the woods, is “hey man, you have it made here. You and your dogs are in Heaven”. 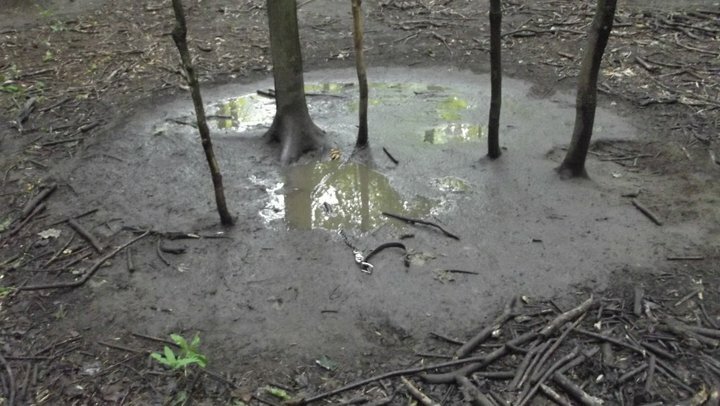 What I saw was a natural water source (Spring water), tons of dog food, shelters of all kinds, an enclosed area where the dogs could run and be contained, and then acres and acres of wooded area. Honestly, the ones who know me well will believe me when I told him I want to live like him in 20 years, just me and my dogs, in the woods, on a heated school bus. What more can you get? Shelter, natural water, food was never an issue for him, many people provided him with not only food, but hollistic food. He knew garbage from quality and did not feed his dogs junk. He may not have eaten well, but his dogs sure were. We are talking about Chows who weighed in the 40lbs each. They were all of average size, it was summer, they may have been a bit thinner, they ran and exercised all day. 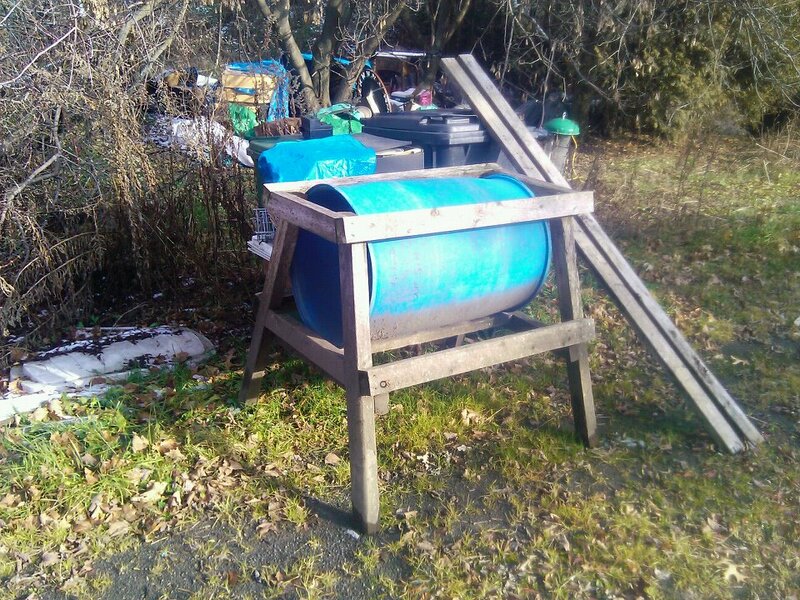 Facts: Marc Levasseur, Corinne Gonzalez, SQ agents, a social worker (yeah they claimed a crazy man was up there) and some volunteers came on his property (way out in the woods), told the owner of the land they were seizing all his dogs but not to tell him, he didn’t know yet….. They proceeded to do an inspection and seize all the dogs. 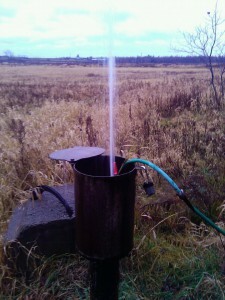 They later told him there was no water source, the food was not stored in “appropriate containers” (he had just opened 2 new bags and fed the dogs), the dogs could break their ropes, run kilometers through the woods, end up on the street (a dirt road no less) and cause an accident…… So that was their reason for seizing. He was told they would check out his dogs and return some, they left him one…..He never heard back, then I got involved and trying to locate where his dogs had even been placed became a mission. This was high secrecy, everyone I spoke to, including Neil of the Montreal E-Shelter, told me they had signed confidential agreements and could not say where the dogs were being hidden. No “valid” reason was ever given to me for the seizure, other than “they didn’t have the best quality of life, living on a bus” and there was no water on the bus that day during the inspection… It was a really hot day (and do I ever remember that day – the 26th!! )… So those were the reasons to take 39 dogs, keep then in hiding and let this man freak out because his “family” was taken away. He had puppies ready to be sold, that was going to be his money for the next few months……They took his family and his livelihood in one shot. Too bad, too late. Sophie wanted us to seize some dogs, yours are the lucky winners!!! We’ll show her. And so they did…….Meet the man before you judge, don’t hurt someone in order to piss me off while you’re trying to protect someone else. Why is Marc Levasseur protecting Daniel Charbonneau and Johanne Parent? Why are they being given chance and chance again to clean up their act, yet the Chow Chow man doesn’t even get asked where the water source is? Where are the drops for his dogs ears and eyes? And why are they hiding his dogs? Because they’re not in bad shape? They don’t want Sophie to get her eyes on them to compare with the 22lb Huskies that they claim they cannot charge the guy, therefore can’t seize? Then why can they seize 39 ChowChows in good health, and then claim in court stuff like “their nails were long, their coats were matted”……. And the way the Chow Chow thing ended? The SPCALL/MAPAQ asked the courts to award them custody of the dogs to “dispose” of (meaning do whatever they want) since this man obviously did not have the $60,000 to pay the boarding fees they incurred for the last 90 days, while they decided if they were going to charge him with anything. Total charges: 4 minor infractions that he is fighting: no food, no water, no “salubrious” living conditions and the 4th I don’t even remember it’s so bogus. No neglect, no malnourishement,.,. I saw all the vet reports (remember I got involved – saw all their evidence)… NOTHING…..
And his day in court is yet to come, but meanwhile he has lost his dogs because P-42 is written in a way that allows them to do this. I call it financing their new facilities, paying their salaries, all on the backs of poor helpless people who may not necessarily make the best judgments in life, but protecting Daniel and Johanne because they breed Finnish Lappins, Tchekoslovakioan Wolfhounds, Eurasiers, Chinese Crested? That’s OK even though they are starved, tied to 5 food heavy chains, no shelter whatsoever (forget a heated bus), and they steal this man’s life? The rest will probably come tomorrow, as we now fall into the whole illegal Paws R Us seizure, and believe me, I got involved in that as well and you will fall off your butts when you read what I have to say about that. All of you who really know me should realize that I would in NO WAY be supporting either Chow Chow Man or Paws R Us’s “legal” battle if I thought for a minute these seizures had merit or had been legal. Daniel gets notices, Chow Chow Man and Paws R Us (who pay taxes and have a legal business) don’t get a chance? They just steal and run off with the ” goods” to sell under the “adopt these poor dogs” banner???? The details of the “court case” on December 1st, I will address later… But before the PRU seizure happened, I was determined (even more so with CCM”s dogs being taken away) to get help for Daniel & Johanne’s 50+ dogs (who seemed to drop from 50 to 35, then we heard 29, the numbers kept changing). I was determined to find them despite my prohibition to go to Lachute. I tried to get these charges and conditions revised, with no luck as “the cop may have had reason to think that Daniel could be at risk” because of my “harassment”….. So I decided to file a complaint against the cop at the Deontologie Policiere, and to press criminal charges against the SPCALL for “failing to discharge of a legal duty” against Daniel’s dogs (article 180 of the Criminal Code)…..
After finding a jurisprudence in a wrongful arrest case, and after pushing Deontologie to get back to me for my proof I had to submit, I received a call from Sgt. Filion advising me that all charges had been dropped and I was free to return to Lachute. 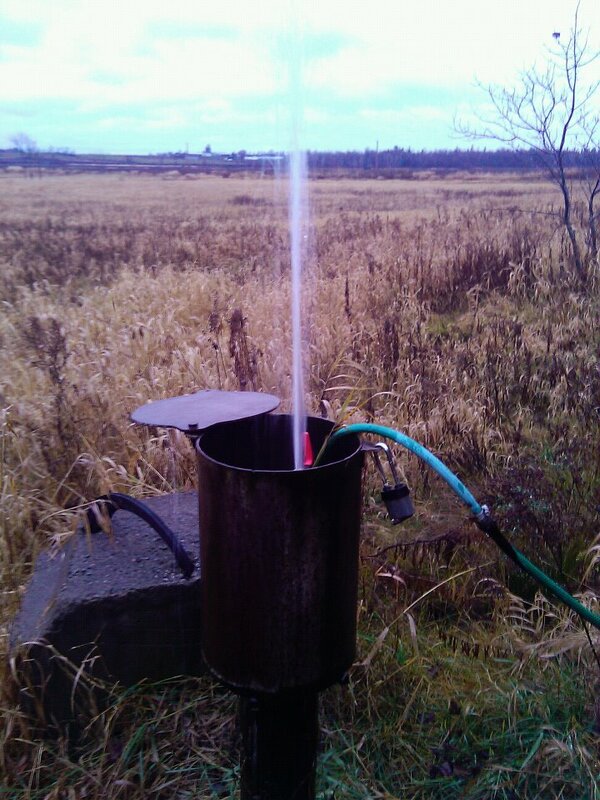 By then, I had heard through the media and other sources that the PRU dogs were sheltered in Lachute…. Down the road from where Chow Chow man was seized, and a few roads from where Daniel was squatting, in the town where they had “no room” for his 50 dogs and therefore could not rescue……. While my complaint against SPCALL was being investigated by SQ, I managed to “relocate” Daniel. 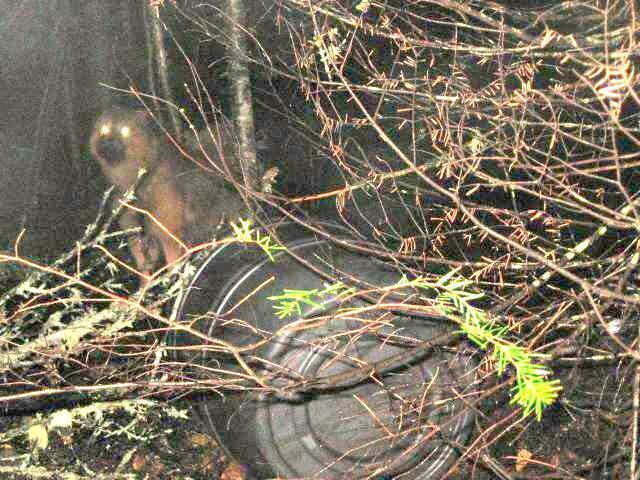 I decided to see if the pack was relocated with him, kind of hoping they had been rescued but kept hush-hush, and with Rick’s help we confirmed that the pack was in the woods, in Val des Lacs. Unfortunately, Daniel saw my car very early in the morning, and decided to start hunting me down. I was waiting for 8:00 am to go to the SQ and see where the investigation against the SPCALL was going, but Daniel saw my car a couple of blocks away, and started once again chasing me at high speed. I decided to turn into a private property as I was going up a dead end, and he blocked me into the driveway so I pulled out my phone and called 911 (again)… They arrived, he claimed I was “harassing him”, yet it was clear who had followed who based on the location of both vehicles. I proceeded to leave town and later on go to SQ in Ste-Agathe to speak to the investigator, at the same time I decided to press criminal charges against Daniel, not for the death threats and chasing, obviously that was getting nowhere, but for violation of the criminal code, article 446, for not providing shelter to his dogs. They took the complaint, were blown away at my story of how this all started and obviously they had heard bout the Huskies in Lachute, but like everyone else, were convinced there were no more dogs…..Remember these Huskies were about 20 lbs and MAPAQ had claimed they were “thin but acceptable”. The investigator in fact told me the P-42 was nothing. Her own words, “c’est un torchon ca madame. Ca n’a aucun pouvoir, MAPAQ l’a cree, MAPAQ seulement peut l’appliquer” And from what I can see, they do when it suits them, like getting beautiful ChowChows by claiming the owner will never be able to pay the boarding fees of $60,000, but knowing Daniel would not be able to pay, they refuse to seize his dogs as they will be stuck with dogs who now need lots of medical care, and no one to pay the bill. 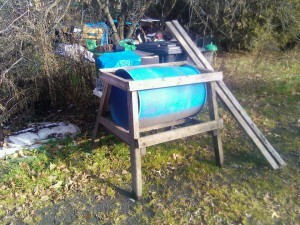 Unfortunately I had more “power” to get evidence than they did, so I continued to work with them to provide them with pictures of the “shelters” that Marc Levasseur kept telling his boss, Corinne Gonzalez, were acceptable. Unfortunately, that day he also pressed charges again for criminal harassment, which I was “investigated” for 3 hours at a later date, still waiting to hear if the prosecutor will proceed or not. They did tell me not to worry about the charges, as they totally see the big picture here, and told me I’ve pissed off some people in high places and that it was part of the game. I also found out that Corinne Gonzalez had put out an APB on me to be on the lookout. They did not tell me it was her, I am no fool. She feared for her 40 cats Rick mentioned she had in her home in Val David….. Hmmmmm…. Daniel is convinced I want to steal his dogs, that it looks good for rescues to have “exotic” dogs, that we are all out there to make a buck from his investment, but anyone who knows me knows if no one helps these dogs, I would take them, but I CANNOT afford to take these poor souls. They will cost me an arm and a leg to bring back to health, let alone sterilize and vaccinate all these dogs who have not seen a vet in ages. What I want is for “competent authorities” to do their job and save these dogs, not me. The criminal charges were taken, he may be charged, but that still did not give SQ the right to seize the dogs, so I was really hoping the SPCALL would finally get involved. That did not happen, I pushed that municipality, and eventually Daniel left again after trying to intimidate me by getting someone to pass himself off as the owner of the property and threaten lawsuit……Yeah right, I shut him up pretty quickly and that dropped. Yet another day, since SQ was not getting back to me on their search warrant, I decided to get proof to submit to them on the conditions and confirmation of the dogs in Val des Lacs, and upon one of those times I was up that way, Daniel pulled out of the woods, stood in front of my car, aimed a gun and started shooting. Thankfully, they were pellets, not bullets, but my biggest fear while trying to get out of there, was not to run him over and kill him…. Can you believe it? So back I was at SQ to open a 4th complaint about the guy coming after me… Nothing. Still waiting on those 4 files to see what will happen, so far no charges have been laid, no arrest has been made, no conditions to stay away from me have been given……That’s what they call equality of the law in Quebec. Right now, I’m waiting to hear back from the prosecutor in both cases, as both have been submitted, the SPCALL (article 180) and Daniel Charbonneau (article 446). Tried to rescue Daniel’s dogs, Media got involved so SPCALL had no choice. Made a deal in exchange for the Huskies. Tried to push for the other dogs to get help, nothing. Called MAPAQ, told Mme Hebert how they wrote P42, they can apply P42, and P42 gives them power to seize dogs for 90 days, build their “case” and if nothing, return the dogs to the owner…. At least they would get shelter, food and water, and possibly vet care while in MAPAQ’s care. She told me they had no such power, that they would need a warrant, I told her they could get one on the phone, she claimed it didn’t work that way, I said he was not in a home, he was on public property, she claimed she still needed a warrant to search and seize. It took more than what I had on Daniel’s dogs situation to do a seize, unfortunately there was nothing MAPAQ could do. They tried to “blame” Anima-Quebec for the inaction, I told them they created Anima-Quebec, they WERE Anima-Quebec, not to play games with words…. She told me not to tell her how to do her job and hung up. Same thing with Alexandre Roy, the canine inspector for Lachute. He told me he had no power, I told him to check the by-law if he wanted to get the contract next year, he told me not to tell him how to do his job, and hung up on me. After the Chow Chow Man and PRU seizures, I called Anima-Quebec and spoke to Sylvie Carriere, who claimed she knew nothing of these two seizures, and could not help me. I wanted to know under what grounds they seized PRU dogs, CCM dogs, she claimed she knew nothing about it, to contact MAPAQ and that everything was confidential. I then called HSI to see what they could tell me, who mandated them since I had tried to get them to help with the Daniel saga and the 50+ dogs SPCALL would not touch, and I was told that they had offered their help, but were helpless if not mandated, and that SPCALL had refused their help in that situation. For the PRU dogs, they were mandated directly by MAPAQ/Anima-Quebec, and guess who actually took the decision to seize the 527 dogs? Sylvie Carriere, the girl who answered the phone and swore she knew nothing of the PRU seizure…… This I found out at the PRU court case where Anima-Quebec was asking for the dogs to be awarded to them since the bill was already at $550,000. Then I find out (before I was free to return there) that the PRU dogs were in Lachute? Are you kidding me? You have no space for 50 dogs that are dying on trees, but you have room to put 527 dogs that were in fairly decent living conditions? Which I did not know at the time, I assumed that what we all saw on the news was fact…. 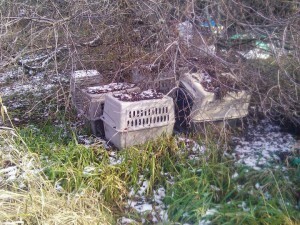 Once I saw the evidence in court, the facilities and their installations, I cannot deny that it may have needed a good cleaning, painting, but there were no neglected dogs, there was water, there was food, and in this case, there was very adequate shelter and a business that was not going to skip town with their dogs…. What was wrong with this picture? Well surprise, the outcome basically comes to this. If you are not CKC registered, your dogs are nothing and you should not be allowed to breed. If we don’t like your “methods” of breeding/selling, despite the fact it is legal in Quebec, we pick on you and decide to seize the dogs since we can. P-42 that we wrote, gives us that power, then we charge you outrageous amounts just for boarding your dogs, and we ask the courts to give us custody due to the outrageous costs you will not be able to pay, regardless of how the “charges” will come out. But to be able to collect this money, you MUST have some infractions…..
Charges for PRU: 17 minor infractions (cobwebs, dust on the windowsill, rat excrement on the barn floor), 1 “thin” Afghan, 2 dogs with “undetermined” minor skin problems (I believe Bull Terriers – aren’t they known for that???) and that’s pretty much it. So if they wanted their dogs back, they had to pay $549,000 owed already, and since the trial could be sometime next year, they ask for the pre-payment of future boarding costs until a judge has ruled on these minor infractions and whether you deserve to have your dogs back……. Charges on CCM: 4 infractions (no food, no water, no “decent” living conditions, and honestly I forget the 4th one). All “tickets” and really things for which he should have at the least gotten a notice. And on those 4 charges, the no food no water charges, will definitely not be proven in court. But they used the fact the dogs were “matted” according to them, “long nails”, 5 minor eye infections due to antropions (which he was treating with drops), ear infections (which he was treating with Ottomax) but they didn’t ask anything. They came onto his property on the 26th, with 2 SQ officers, a social worker, 3 volunteers who jumped 3 on a dog to tie them up and take them to the truck, not letting him approach any of his dogs, not giving him any reason on the spot as to why they were seizing, the charges came about 1 month later. Puppies were born in the SPCA’s care, and while I was trying to find these dogs for him, I called SPA Mauricie to ask if they had these dogs. Spoke to Serge Marquis, the director of SPA Mauricie, who swore that the dogs were not with him, that he had heard of the seizure, but he didn’t know anything. Upon reviewing the “evidence” they submitted, it was obvious that the pregnant moms were in fact in his care, down in Trois Rivieres. The SPCALL claims 2 or 3 litters had stillborn puppies, yet CCM never had any dead pups? Could it be the stress, the horrible separation from not only their pack but their leader, the fact it took 3 people jumping on those dogs to “grab” them as they were freaked out and not happy with these strangers, could it be they delivered puppies in cages instead of their natural environment which is the forest? With their leader right there making sure all goes well? Could it be they actually caused these puppies to die? Can they blame the CCM for dogs who died at birth after being in their care for more than half the pregnancy? Is he the awful man who tortures and abuses his dogs? Do you know how horrible I have been feeling for that pack of dogs? They had love, friendship, exercise, a leader, their packmates, their “partners”, their routine, their regular rituals, brushing, walking, going to town in tow around him a few at a time, running through the woods, going to play in the creek, do you really think these guys are better off in some shelter cages, waiting for homes with kids who think they’re cute to adopt them and then dump them? These are dogs who were socialized with him, with their pack, they listened to him at the click of his fingers, they admired and respected him, they followed him and stuck to him through thick and thin, just like he did for them. And the “competent authorities” who want to rule out animal “cruelty and abuse” actually think this is OK? 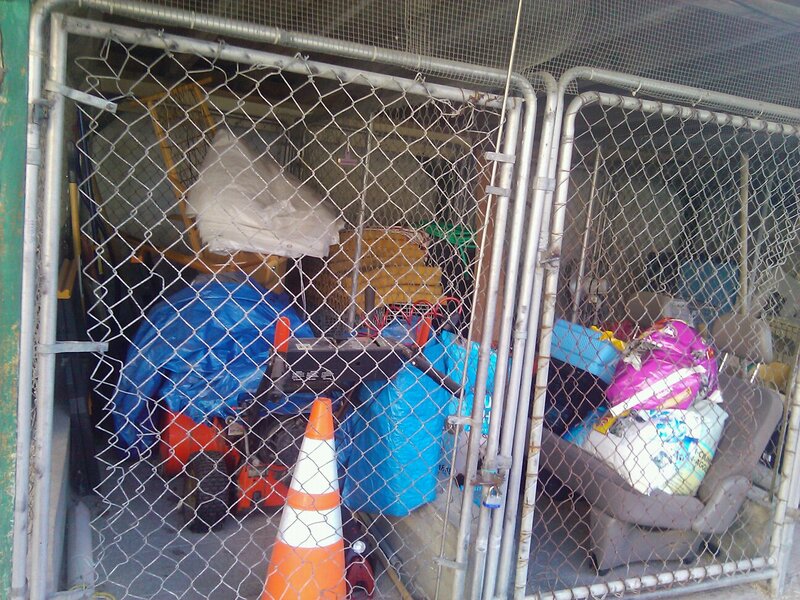 Those of you who really know me, will understand why that is NOT ok.
As for PRU dogs, I went to see the facilities, and I expected to see what one knows to be a “puppymill” like we see on the news. This is not PRU. 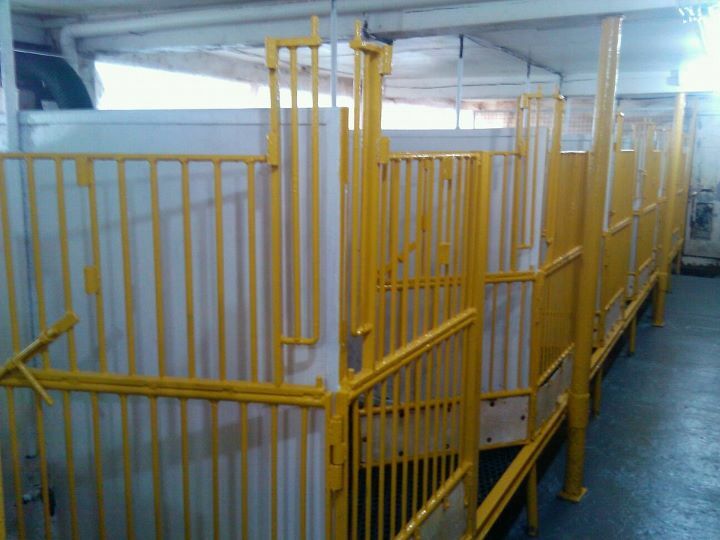 This is a large scale kennel who wanted to breed dogs as a living and be the best and largest dog kennel in Quebec. They were proud of their business, and as immoral as we all think it is (and I have told them that), it is legal and the way to stop puppymills is not by putting them on Welfare and stealing their merchandise in exchange for half a million bucks, but giving them strict rules and regulations to abide by and make sure they are complied with. So on a business decision, PRU decided not to pay for the return of their dogs, and Aima-Quebec basically told them to go buy other dogs… Which is what they are doing in order to stock up for the Holidays. We accomplished what? Hence my frustration, my decision to help the ones who have been wronged, not because I approve of what they do, but because I have seen no evidence of neglect, abuse, or anything worst, yet I have seen with my own eyes, 40 dogs so emaciated tears were falling down my friend’s cheeks. I have seen so much, I have unfortunately been hardened, but what I saw was disgusting. People like Daniel should be jailed, people like the Chow Chow Man should be given notices and told what needs to be improved to their satisfaction, same goes with PRU. Give them the impossible to do in 24 hours, then threaten to take them to court, but don’t take their livelihood in one day, with no notice, and expect them just before Christmas to apply for Welfare because their “legal business” was taken away in 2 hours. I call MAPAQ the new MAFIA… They take, they put bogus charges just to be able to pass Go and collect $200, and the longer it takes to “press charges”, the more they can collect. You don’t have the money, you lose. You have the money, you win for now but we’ll get you another time…. 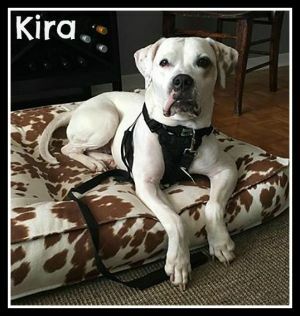 So now let’s look at the new proposed “law”…..
To give just a few examples: Mira is no different than PRU in their facilities, ARN probably doesn’t fit the “sanitary conditions” Anima-Quebec is imposing on PRU, Berger Blanc and SPCA’s, etc… certainly doesn’t meet those standards. Remember, they pretty much have to be like sanitized hospitals. So, does the rescue you know risk getting all their rescue pets seized because of cobwebs or dust on the windowsill? So is PRU really guilty of anything other than supplying “goods” in the form of dogs to the demands of the market? Should we not be educating the population instead of blaming the businesses who supply the ever-consuming population? We live in a disposable society, puppymills are only filling that need since we change dogs like we change shoes. Out with the old TV, in with the new Plasma TV. Out with the old Lab, in with the new Portuguese Water Dog. So CKC breeders can breed, and breed, with an average of 40 dogs in their kennels (as per Lucie Paradis in the PRU case, who evaluated the value of their dogs based on the fact they were not “pure” regardless of how pure they looked, as they are not CKC registered). She herself breeds Corgis, is a Judge for the CKC and part of the Corgi Club of something or other. So she really knows what a breeder should have. She only has 8-10 dogs in her home at any given time. Conflict of interest??? She is also hired by Anima-Quebec…..
Of course, that is totally acceptable. Whether they live in sanitized cages piled in her basement, or whether “fake” ChowChows are living free in the forest, it is not comparable…. Do we provide sanitized shelter for the few we can rescue due to the extreme high costs of sanitizing everything, or do we kill the majority that cannot be saved because we don’t have the money to sanitize our facilities… Do we try our best or do we have to eat on the floor? What’s good for the goose, is good for the gander. Everyone attacked Barnotti without checking facts, just because the media “said”, which led to Berger Blanc getting most of the contracts, and now we are attacking PRU without checking facts, just because the media “said”, which will lead to SPCA’s getting all these dogs to fund their bank accounts. Boarding fees, donations from the public (it seems HSI raised close to $800,000 of your donations for PRU dogs… and yet they are asking for a million to return the dogs)……the sale/adoption of the dogs. Good business to get into if you’re an SPCA or HSI who is awarded custody of dogs for whatever reason…….through MAPAQ. Next will be rescues being shut down, inspectors will come look under your bed and in your closet (like City inspectors did to me for 8 years until I fought back) and your rescues will be awarded to HSI, SPCA’s, Anima-Quebec or whoever they choose. What I’m seeing is HSI seems to be some marketing firm who is smelling a lot like SPCA at the time of Barnotti. Beautiful website asking for your money, their American division racks in millions a year to subsidize them, but they come to “help our dogs in need” by asking for your dollars. Lots of questions, not many valid answers that I have seen so far, and I have driven hours to make sure I get the facts, not just what the media says. Meanwhile, it is December and Daniels’ dogs are still in need of rescuing and nobody but me really cares. The Chinese Crested have given birth probably in his truck or in a tent…. Sad reality for hairless little dogs. But that’s acceptable. Let’s bust the nice man on his bus with his family of dogs, and let’s shut down a very legitimate business, we’ll look really good on the news!!! Let this family run as they are “recognized” CKC breeders. Once the dogs have all died of either starvation or cold, no one will have to worry about them anymore….. Think about it. That’s what my fight is about. J’en reviens pas! C’est fou! I never ever told Philippe (CCM) that YOU was the one in the back of its seized. I let him know that you was driving all around to push MAPAQ and SPCALL to seize our dogs and that you tried to stoll Daniel’s alaskans when we specifically told you to not come to Lachute because no dogs will be offered to you. Philippe called us last spring (I gave him my contact info in case he needed help) to ask food for its dogs who did not eat since 2 days. I offered him several times to buy food for him if he had some money, at a cheaper price since I work at wallmart where he asked food to clients in the parking. When we were on the street, two of his dogs attached together on a leash were running off and Philippe tried to located him on his bicycle. He asked us if we saw them, we did not. 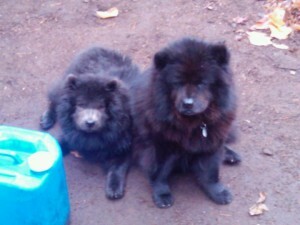 MY dogs are only purebred Eurasiers and Finnish Lapphunds + one spayed alaskan and two crested males. 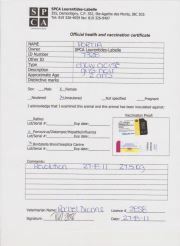 They are all in good weight for their breed, are under Dre Jean Dodds vaccination protocole and finally…. they always had a shelter, food and water. Marc Levasseur had prooves of this everytime you made complains at the SPCALL or MAPAQ and that he was mendated to come for an inspection. I have ALL inspection reports… do you want to see them? So maybe you will stop pretending that my dogs are skinny. The place we camped in Lachute was also a place where Philippe camped with his Chows few months before. He was evicted from there but we had the autorization of the city to be there for few weeks, the time for us to find something else. The truth is that YOU complained to the DPJ and the city and then you pushed us to find a second solution that was very costly as we needed to drive from Val-des-Lacs to Lachute daily for kids going to school and myself going to work. SPCALL did not seized the alaskans as they were given to them on August 8th. In fact we agreed about 10 days prior the 8th that all alaskans who did not find a lovely home will be given to them on the 8th. Daniel never ever exchange its dogs to not have a seize or bills or anything else. He and Marc Levasseur agreed to take those days to see if we will find a new place to move them all and searching good families for some of them. The alaskans teenagers were all fatty by the way… but you did not saw them since they were in pens on the camping place with my dogs. They were also given to the SPCALL. Never tied or leashed as they were living inside home and gone outside offleash, Daniel decided to not tied them to trees to avoid any kind of accident. Daniel is not as bad as you pretend. His dogs and kids always ate before himself. To finish with CCM, I can only say this to put some lights on your opinion about the Chows… Philippe received many bills from SPCA and animal control inspectors over the years in different cities he “lived” in. After he gone out of jail, he started to breed Chows. He had 7 dogs 5 years ago when I met him in a park in Laval where he slept outside with his dogs due to the fact he had no home and when I saw him in Lachute summer 2010, he had more than 30 dogs piled in his bus. The dogs were there without any crates. His stuff was pack under the dogs and puppies were free with adults… even newborn. Even no true infraction was given to Philippe, I guess it is what decided animal inspectors to procede for the seize. This was prior he finally found the land where he was seized, where his dogs ran free with him. Yes he had a really nice land and it is really sad to see that he loose his family like that. The fact his dogs were matted and had long nails is, like you said, minor faults. Maybe Philippe should have less dogs, maybe he should not breed to survive…. but like you said it’s not illegal. I always said to him that many of his chows will win in the show ring if they were registered because they were looking better than some champions. I don’t know where you took the information that we had about 100 dogs in Lachute…. this high over the total number of dogs Daniel, myself and our two sons have, all together! I don’t know where you had the information that I had 40 and + dogs myself…. from one post to another I was able to read 150 dogs, 70 dogs, 50 dogs etc…. the true fact is far from those numbers! Since he gave his Alaskans, Daniel is the owner of only 3 dogs. He rescued those alaskan puppies. The fact I agreed or not is of no interest but I will say this : stop to always refer my dogs as Daniel’s ones and stop to base your judgement of my dogs on the alaskans or the wolfdogs. Alaskans are mix breed and have some greyhound in it. Some dogs are very difficult to maintain weight during winter even with fatty supplement. On 37 dogs, less than 10% were really skinny. This is a fact. Daniel provided food once a day and water twice daily even when they were in the woods. Most of them were pretty well socialized and knew what was a home since they enter in it and passed some time inside during their life. They were not tied to trees for years like you pretend. You can not based your judgement of the size and weight of alaskans on the Husky breed standard as they are not Huskies. The average weight for a Eurasier or a Lapphund is from 25 to 50 pounds. BIG Eurasiers may weight 55 to 65 pounds which are not in my lines. All my dogs are in the average weight. Weight should fit the size. These dogs should never look clumsy or fatty. They should cover the land when moving and any over weight will be detrimental to their movement and working abilities. To register its dogs, a breeder do not need to be a CKC member. Even we are not CKC members, then we sell only purebred registered dogs. To be or not to be a member is a choice each breeder does. Winter 2011 was the alaskans very first winter outside. Previously they were living inside. The dogs that were saved as puppies are 5 years old, will be 6 next February and March.